Make Money Selling Brian Tracy Learning Programs! Join Brian Tracy's Affiliate Program Options and receive anywhere from 20-40% commission on every product sale (excluding live programs and coaching). Whether you're a fan of Brian's work, someone whose life has been changed because of his teachings, and/or an affiliate looking to sell Brian Tracy program, here is your chance to pass on the legendary teachings of Brian Tracy and earn a referral fee for doing it. By joining the Brian Tracy Affiliate Program, you will be offering exclusive, life-changing material from Brian Tracy's 30 plus years of experience helping individuals and business owners increase sales, profitability, time management, and personal effectiveness. For every customer that clicks on our banners or text links on your website and purchases highly effective Brian Tracy learning programs, you earn commission (percentage dependent on campaign) for that sale. All commissions are paid in USD, and can be paid by check or PayPal. Once you join either of the Affiliate Programs, you will immediately be emailed login information so you can access email copy, article content, banner ads, tweets, Facebook posts — everything you need to start selling Brian Tracy's Learning Programs. Product Packages & Special Offers — Includes converting special offers and product packages for nearly every audience. Commission varies per product, but you'll be able to see the commission for each product once you sign up as an affiliate. There are 2 types of affiliate programs available to you. Commission Junction Affiliate Program (web advertising/online promotions) — For affiliates looking for the product catalog, or banner ads for your website. 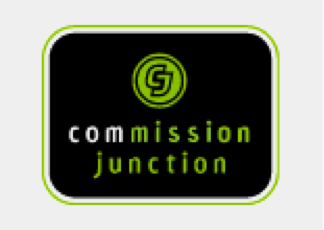 Note: Commission Junction is a 3rd party ad network. Internal Program (If you have an email list or social following) — This is for you if you are looking for email campaigns and special promotions for your email list. These campaigns will allow you to drive your online leads to a free gift and put them in a marketing funnel. You send leads — we do all the work on the backend! To get started with the HasOffers Affiliate Program, just fill out the short application here, and we will give you all the tools and techniques you need to succeed as a Brian Tracy Affiliate. Note: In this program you must have at least 10 sales in a 1-year period to qualify and you cannot purchase via your own link or you will be removed from the program.